Students should also provide the sources for their information. The students have been collecting information for the written report in library. At a later date students will be creating a presentation using the green screen in the Kennedy Makerspace! Ms. Labaire and I will be working with Lesley University for this exciting project. A GOOD NIGHT’S SLEEP. Students are logging when they go to bed and when they wake up to calculate the total number of hours and minutes slept each night. They are also recording their observations about how they are feeling and why they think they are feeling that way. After a week of recording their data, students will make conclusions based on their sleep record and observations. The entire packet, including the comprehension questions, is due Wednesday, November 2. Also, don’t forget to follow me on Instagram @mrstremonte. I make a weekly post about our classroom happenings. If you don’t have an Instagram account it is really easy to sign up! 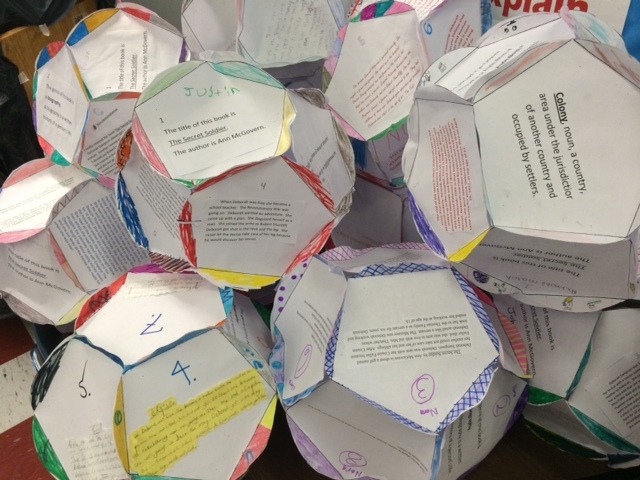 The students in our class completed the 12-sided ball project for The Secret Soldier by Ann McGovern. 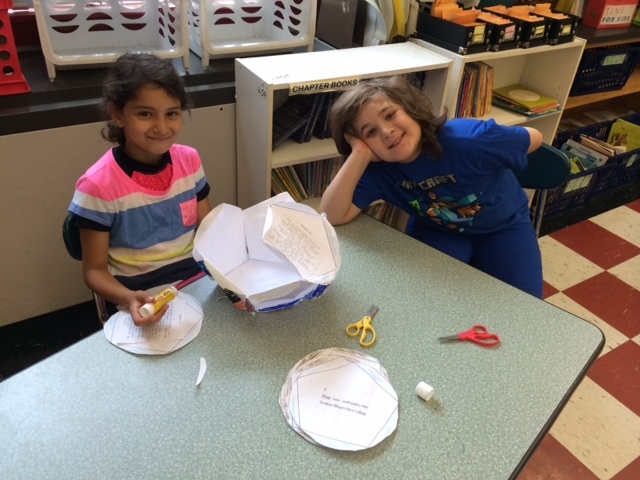 Each side of the project was a different assignment related to the book.